Fishes, as the largest group of living vertebrates, offer almost unlimited opportunities for the study of evolutionary adaptations to environmental and biotic selection pressures. The book covers basic fish anatomy, physiology and phylogeny, but the major theme of the book is evolution. For example, What has been the effect of evolutionary pressures on the form and function of fishes? Pitched at the undergraduate market, this book will serve as a core text for ichthyology courses offered by wildlife and fishery departments. The Diversity of Fishes by Gene S. Helfman, Institute of Ecology, University of Georgia, Athens, Georgia; Bruce B. Collette, National Marine Fisheries Service, National Museum of Natural History, Washington, District of Columbia; and Douglas E. Facey, Department of Biology, St. Michael’s College, Colchester, Vermont. As the largest group of extant vertebrates, fish offer and almost limitless number of striking examples of evolutionary adaptation to environmental and biotic selection pressure. With over 25’000 possible species of fishes, the study of ichthyology can be a daunting subject for students and researchers alike. The Diversity of Fishes approaches this overwhelming topic with excellent coverage of the basics (fish anatomy, physiology, and phylogeny) as well as more in-depth coverage based on the recurring themes of diversity and adaptation. 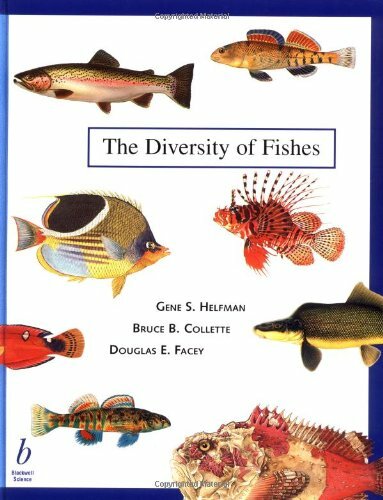 The Diversity of Fishes is an essential core text in ichthyology, and its extensive coverage of systematics, ecology, behavior of fishes, and ideal supplement for general biology, animal diversity, and evolutionary biology courses.